Construction and maintenance projects often take place in hard-to-reach areas that are far off the ground. A ladder isn’t sufficient to access a work area where you have challenging tasks to take care of. You need a stable platform that will keep you safe as you tackle the work at hand. Both boom lifts and scissor lifts can help you reach elevated areas, but these two equipment rentals have very different capabilities. Read on to learn more about which rental is best for your job. A boom lift is a piece of lift equipment that elevates a worker in a small bucket or on a compact platform. Boom lifts are also known as man lifts and cherry pickers. This piece of equipment features a grounded base and hydraulic lift system. There are two primary categories of boom lifts: articulating boom lifts and telescopic boom lifts. Telescopic boom lifts have long straight arms. Mounted at an angle to the lift’s base, this arm can reach over some lower obstacles, but it has limited flexibility. The base rotates, but the arm itself is always straight. Telescopic boom lifts offer an impressive reach, often up to 180 feet. Articulating boom lifts, also known as knuckle booms, have jointed arms. The joints allow the arms to bend at one or more points, so the lift has more flexibility in its reach. Articulating boom lifts are ideal for accessing those hard-to-reach areas, as the arm allows you to reach up, over, and into some spaces. These have a slightly shorter reach than telescopic lifts, typically up to about 150 feet. A scissor lift is a piece of equipment with a large flat aerial work platform supported by a series of crisscrossed braces. These braces squeeze together to push the platform upward. Scissor lifts move vertically. They must sit directly beneath the area that workers are trying to reach, which can limit their functionality somewhat. The base of the scissor lift needs to sit on flat, stable ground directly beside the workspace for the project to be accessible by those on the lift. Scissor lifts can typically reach heights of about 40 feet. When you’re deciding between a scissor lift and boom lift, it’s important to consider the direction of movement. If you’re elevating a worker to a spot that’s both up and over, you’ll need to use a boom lift. These are great for electrical or piping repairs in a difficult-to-reach area. If the worker is moving straight up, a scissor lift may suffice. This is a common pick for window or siding installation, cleaning, and repairs. How High Do You Need to Go? Consider the height of your project. A scissor lift can only elevate your workers about 40 feet. This is adequate for most residential projects as well as indoor tasks. However, if you’re trimming towering trees or working on a high-rise building, 40 feet may not be enough. Articulating and telescopic boom lifts can reach more than three times as far. These are the best option if you need something with ample height. How Many People Are Involved in the Job? Boom lifts can typically accommodate only one individual on the lift platform. These are best for jobs where you need specialty work performed by a single highly skilled worker. Electrical work is a prime example. If you need to lift more than one person and a scissor lift can access the site, this is your best option. Rugged terrain scissor lifts are available to help you navigate rougher construction sites. A scissor lift’s platform is significantly larger. This equipment can hold several individuals, so you can lift your entire team to the work area for tasks like painting or major repairs. Boom lifts are the more expensive option by far. A scissor lift is a relatively affordable rental. This is the better choice if you’re looking to stay on a limited budget with your project. Boom lifts offer more functionality, but they can also be more difficult to use, particularly in the case of an articulating boom lift. Accordingly, they are also more expensive. If your project is accessible with either option, you can save money choosing a scissor lift. 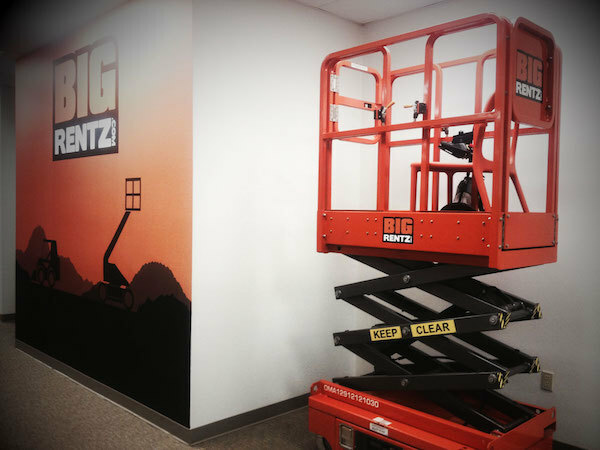 Boom lift and scissor lift rentals provide convenient access to otherwise inaccessible sites. With the right equipment on hand, you can efficiently tackle any job. Are Boom Lifts Versatile Machines?